March 2015 | the every things. Non- Candy Easter Basket Stuffers for Girls! We try to stay away from candy with really, well anything. They will get some in their Easter egg hunt and that is more than plenty for them. We try to put stuff that we are already going to get them & a few outdoor things for spring in their baskets! Its so funny that everyday things they need like sippy cups & bath bubbles get them so excited! 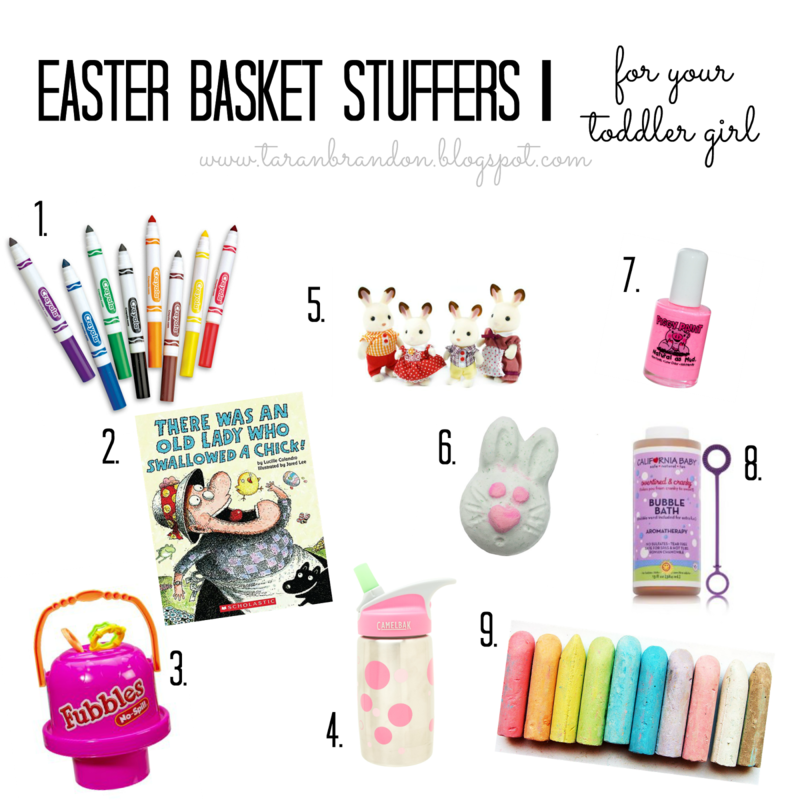 Here is a list I put together of our favorites for a great Easter basket! As many of you know, Kennedy has had quite the head of hair since her year of cue ball bald head days. Brushing her hair is pretty much a nightmare. Even with great conditioner and detangler spray a brush session always ended in tears. & Unlike the one lady that was floating on Facebook I DO believe in brushing my childrens hair even if they don't want to. I also changed their diaper when they didn't want me to, so you can probably chalk me up to meanest mom ever. There has been many a argument right after a bath & even before they even got out of the bath that they didn't want their hair brushed. Or fighting over who would go first! It was pretty awful. So I had to find another option, other than be the crazy facebook mom that doesn't brush their childs hair. Then heaven opened up & the angels started singing & God handed me a Wet Brush. Just Kidding. The Wet Brush completely changed our hair routine. Now our brushing days do not contain tears at all! & they look forward to getting their hair all nice & "punzle" like! They even can brush their hair themselves now. When I first got The Wet Brush, I thoroughly examined it. THIS is going to get thru her tangles better than any other brush? It didn't look different. The bristles looked just like normal brush. There wasn't anything fancy about it that I could find. I was a skeptic. Then I got it out after bath for Kensley. & ya'll it blew my mind. This sucker got thru her tangles with ease. I honestly didn't even think it was brushing her hair it went thru so easily. Until I looked & was amazed!! Her hair is so thin I thought Okay, but can it get thru Kennedys crazy thick hair & curls?!? & Yup it did! Sometimes I have to do the under side of her hair when using "the squirt" because the bristles aren't quite long enough, but other than that this thing has changed our lives! There is all sorts of colors & sizes! We have "squirts" which are travel sized & are the perfect size for the girls hands & for my purse! Then full size for my hair & when I do their hair myself! They even had a baby brush that is soft & made for sensitive skin! I am getting the "shine" brush next!! If you have a curly locks child, or even if you don't & just struggle with tangles. & even for yourself without children. The whole family has one for themselves now, even the dolls! This is the brush for you!! 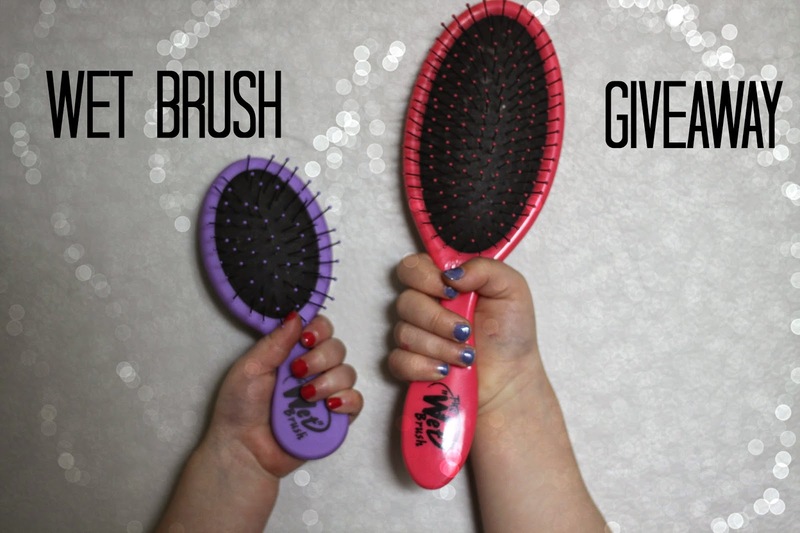 I am spreading the The Wet Brush love & giving away a full sized The Wet brush for you to win!! The thing about my laundry room is..I hate laundry. Like LOATHE it. Keeping your laundry room organized helps with function & decorating it cute makes it inviting. Both of which I feel a laundry room should have!! If you are ready to organize your laundry room here is a check list to get you on the right foot! I also have a FB organizational group you are more than welcome to join with a bunch of great women encouraging one another! You can join HERE!